Why the name? 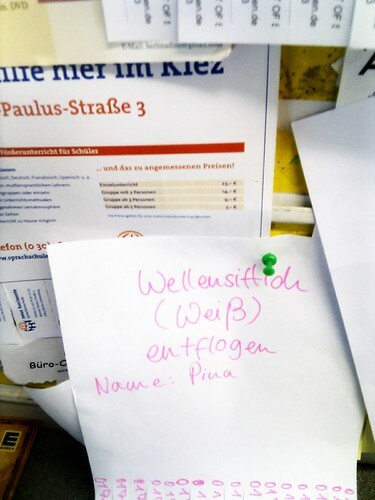 If she (Pina) would obey to the letter, she wouldn't have gone missing in the first place, right? I am so loving these pajamas (Wow, fast food advertising really gets to me). I almost bought one, but I was already on my way out and high on polypropylene (Primark: one visit is likely to be as toxic as a whole pack of cigarettes). To save myself from choking, I kept walking. It will hunt me in my dreams though. 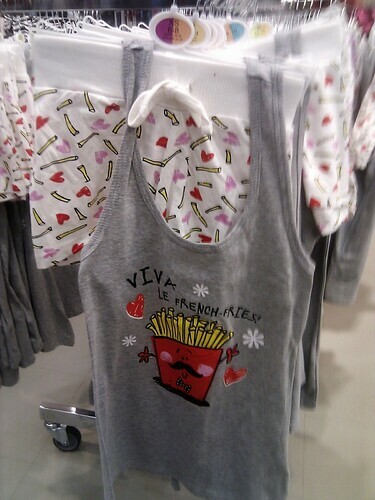 I want french-fries-sleepwear, dammit! Btw. I am not an expert on french grammar, but shouldn't it be "Viva LES french fries"? oh ja, mach das mal immer. und bitte doch mehr essen. yay. 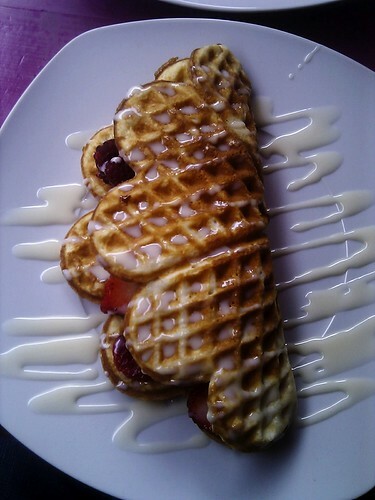 Erstmal bist Du dran mit American Food. All the colors!